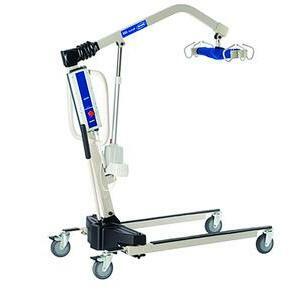 The Invacare Reliant 450 Battery-Powered Lift with Low Base helps reduce the possibility of caregiver back injury when handling patients. 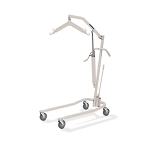 Sturdy, practical and reliable with the ability to support up to 450 lbs, the Reliant makes potentially challenging transfers smooth for the resident and the caregiver. Base legs adjust easily and lock securely into open position with the padded shifter handle. 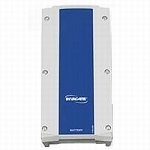 Total pinch-point protection covers all moving parts for added safety. 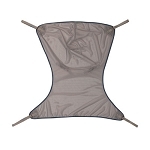 Covered base provides protection against wear, dirt and moisture. Height range allows lifting from floor and high surfaces. 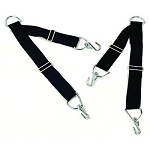 Padded swivel bar with 360º rotation and six-point hookup allows use of Invacare chain-free slings as well as older-style slings with chains or straps. 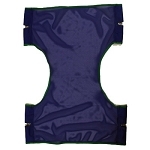 Base Width: open 41" closed 26.5"
Overall Height @ sling hookup: 25"-71"